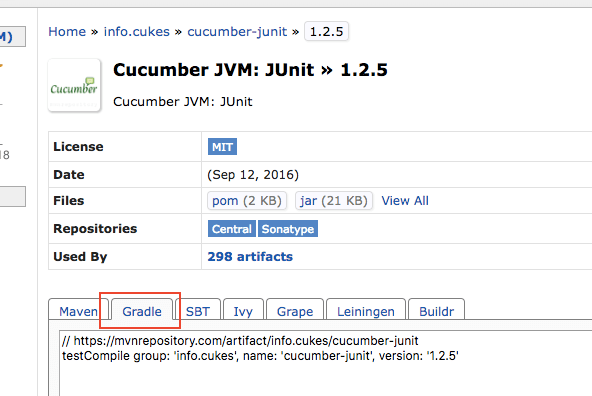 Hello Everyone, in this post will learn how to download Cucumber dependencies using Gradle. 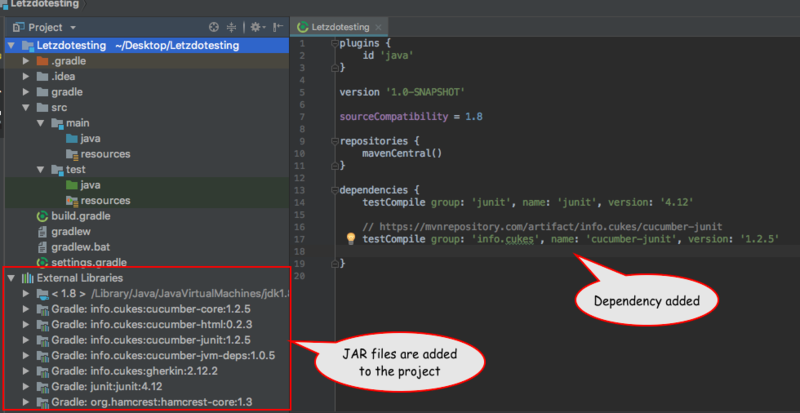 Cucumber dependencies/JAR files are required to run a cucumber test in IntelliJ. Downloading the libraries and adding those to the project’s build path one by one is a tedious and time-consuming process. 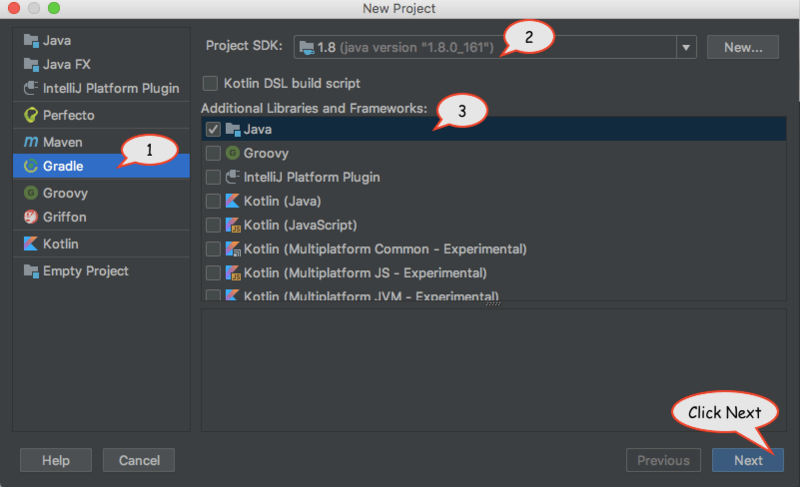 To overcome this problem, we are going to use Gradle, a powerful build management tool which helps in the automatic download and configuration of dependencies or other libraries. 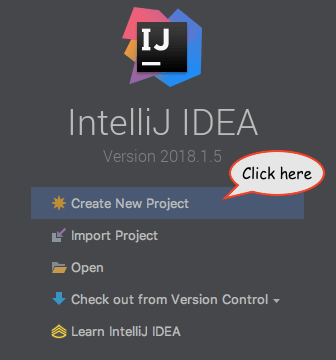 To download Cucumber dependencies, we need to create a Gradle project in IntelliJ. 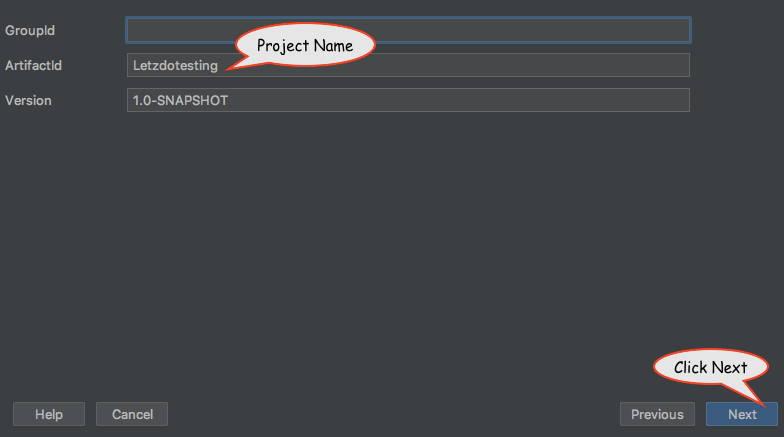 Step 7: New Gradle Project has been created successfully. Project Structure should exactly look similar. Repositories section has the name of the remote repository that is used to search for dependencies. 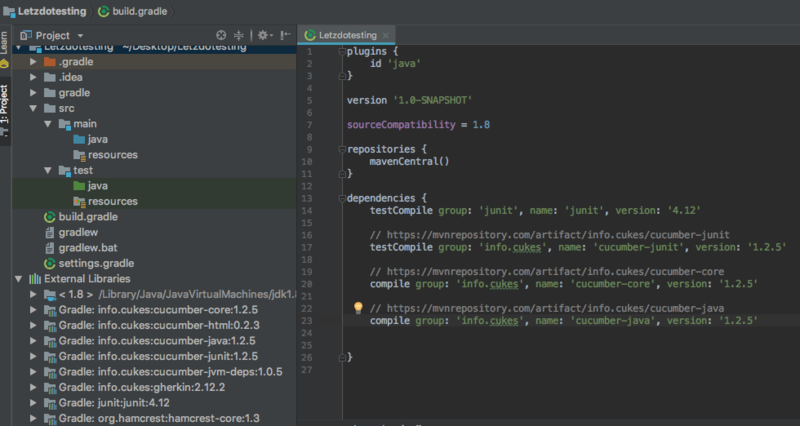 Gradle supports Maven and Ivy repository to look for dependencies. Dependencies section has the entry to the dependencies. 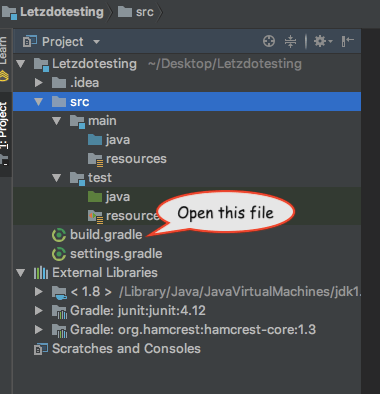 This triggers Gradle to download the libraries/JAR files during the gradle build from the remote repository specified in the repository section. 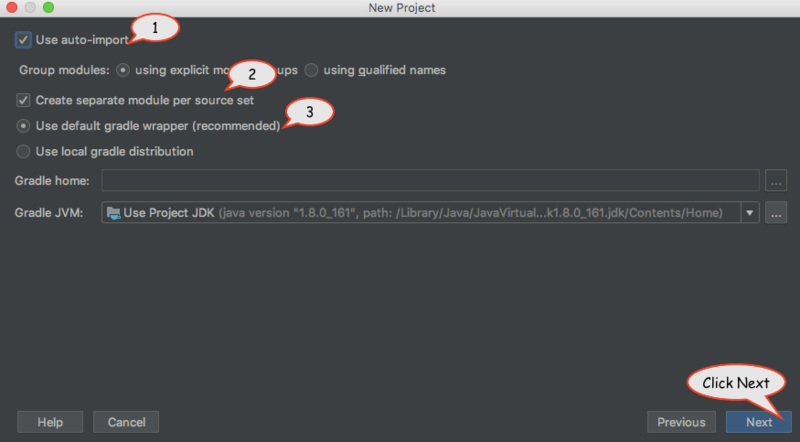 After you pasted the code, Gradle automatically triggers the download and add the required JAR files to the project. 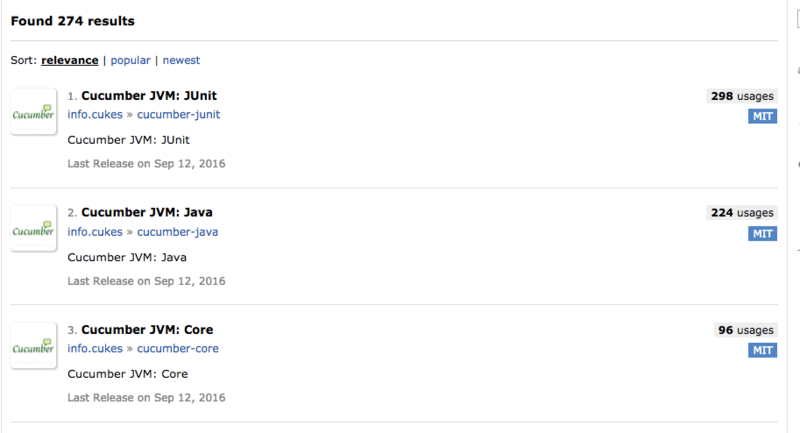 JAR files are found under External Libraries section. 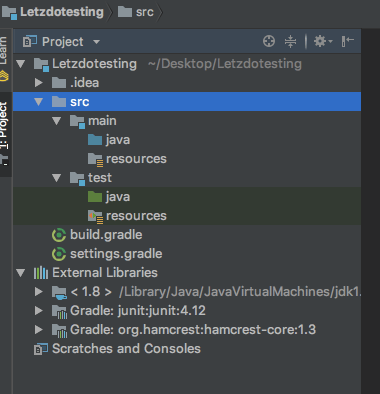 Step 9: build.gradle file and External Dependencies section should exactly look similar. Cucumber Dependencies are downloaded successfully! Check the auto-import option for Gradle in Preferences/Settings screen.